We'll work with you every step of the way to bring your dream renovations to life. Our expert comes to your home to evaluate and design the home renovation of your dreams. Every detail is covered, including all materials needed to complete the project. You will know the exact and final price of your project and production dates. Your project will be beautifully remodeled and completed on time according to schedule. The ultimate in stress-free custom remodeling and renovation. We provide all design, materials, labor, permits, and warranty. One dedicated crew from start to finish. Asher and his incredible team were all fantastic from beginning to end of our 3 room remodel this spring! Asher was able to accommodate our needs for expansion, creativity, financial concerns, our pets and especially my health (cancer) . They were able to find a financial package that fit our needs and accomplish what we wanted for the remodel! Their crews were punctual, neat and clean and did wonderful and highly professional work! When we needed questions answered, Asher had a an answer! Change orders were handled and accommodated as possible. For my health, they were extremely helpful with working around the time I needed to recover- even if that meant a delay in our project! The final product is what we wanted and are over the moon happy and satisfied 110%! We are looking forward to using them again, soon, to further complete the rest of the house! 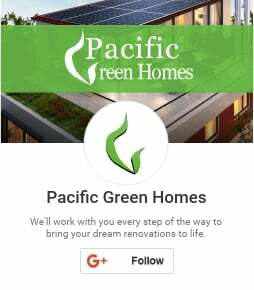 Thank you Pacific Green Homes for our great looking home!